Give Me My Remote > chicago p.d. CHICAGO MED and CHICAGO P.D will be down key players next season, as P.D’s Jon Seda (Antonio Dawson) and MED’s Colin Donnell (Connor Rhodes) and Norma Kuhling (Ava Bekker) will exit at the end of the season. Tags: and Norma Kuhling Exit, Ava and Connor leave Chicago Med, chicago med, Chicago Med spoilers, chicago p.d., Chicago P.D. 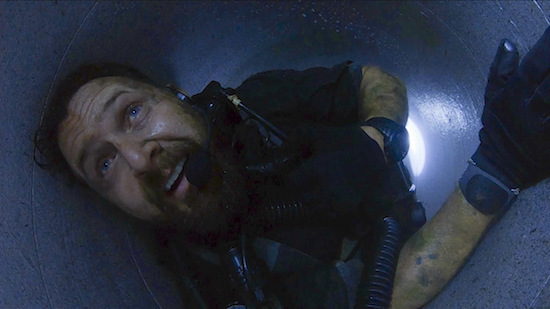 spoilers, chicago pd, Chicago PD spoilers, Colin Donnel Chicago Med, Colin Donnel Chicago Med exit, Colin Donnell, jon seda, Jon Seda Chicago P.D. exit, Jon Seda Chicago PD exit, Norma Kuhling, Norma Kuhling Chicago Med, Norma Kuhling Chicago Med exit, Will Antonion Dawson return to Chicago PD?, Will Ava return to Chicago Med?, Will Connor return to Chicago Med? CHICAGO MED and CHICAGO P.D. will be down a number of characters when the shows return in 2019-2020: Jon Seda (who plays Antonio Dawson on P.D. ), plus MED’s Colin Donnell (Connor Rhodes) and Norma Kuhling (Ava Bekker) will exit their respective shows, per Deadline. (A rep for the show had no comment.) According to Deadline, the exits are all character-dictated. Tags: Ava and Connor leave Chicago Med, chicago med, chicago p.d., Colin Donnell Chicago Med exit, Colin Donnell exit Chicago Med, Jon Seda Colin Donnell and Norma Kuhling to Exit, Jon Seda exit Chicago Pd, Norma Kuhling Chicago Med, Norma Kuhling Chicago Med exit, Where is Connor Rhodes on Chicago Med? CHICAGO P.D. returns on Wednesday, March 27, as a high-profile victim has the team on edge. Tensions are high on the Wednesday, February 27th episode of CHICAGO P.D., as the squad deals with a complicated serial killer. 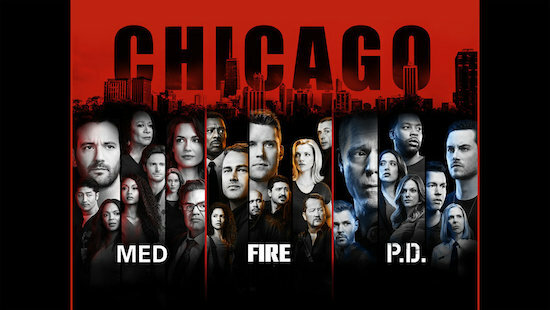 And after a pretty stressful few months—undercover operations gone awry, team members getting kidnapped, the complicated political dynamics of Chicago politics—Voight (Jason Beghe) and Ruzek (Patrick John Flueger) get very intense while questioning a suspect they think is tied to a murdered dancer. On the Wednesday, February 27 hour of CHICAGO P.D., District 21 finds themselves dealing with a high-profile serial killer. CHICAGO P.D.’s Atwater is once again going undercover in the Wednesday, February 6 episode, “Night in Chicago”…and given his run so far this season, it’s not likely it’ll be smooth. A case from Halstead’s (Jesse Lee Soffer) past makes trouble in present for the squad. Comments Off on CHICAGO FIRE Boss Teases Upcoming Crossover with CHICAGO P.D. 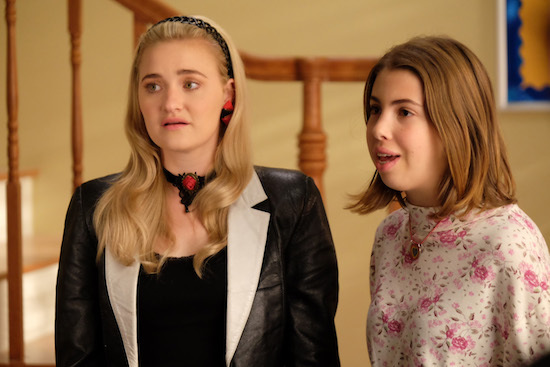 Though the ONE CHICAGO universe had a three-show event early in the season, the upcoming crossovers will be a bit smaller. 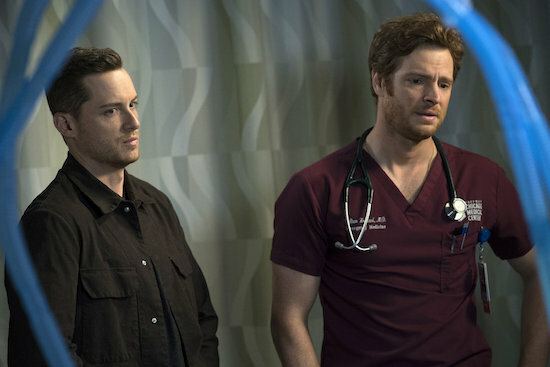 CHICAGO P.D.’s Jay Halstead (Jesse Lee Soffer) has had quite the busy season so far…but much of it has been on fellow ONE CHICAGO series CHICAGO MED. 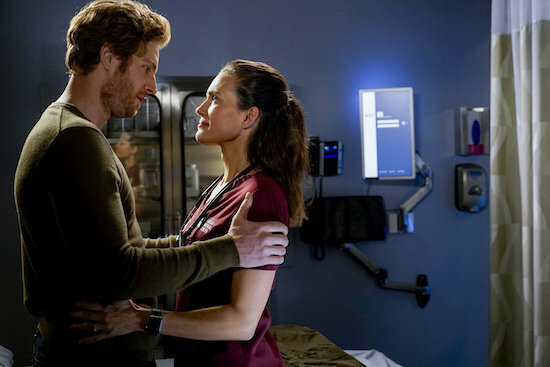 Though Jay has been a full-time presence on his original series, he’s also appeared in seven of the first nine episodes of MED, as his brother, Will (Nick Gehlfuss), accidentally became entangled in a crime investigation and had to work as an undercover agent for the feds.